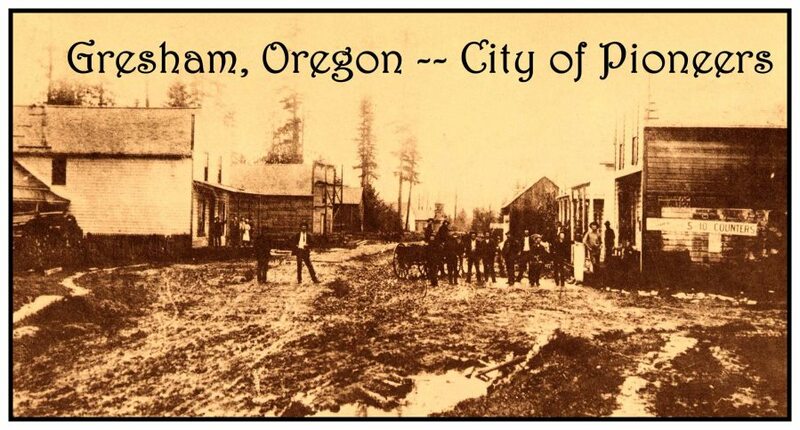 The town that we know of today as Gresham was first settled in the mid-1800s by pioneer settlers James and Jackson Powell who moved to Oregon from the Midwest in 1852. The area became known as Powell’s Valley. Powell Valley School was established in 1857. In the 1870s, a religious camp meeting ground was established in the area and this became a popular stop-off point for people traveling to Portland. The first post office was established here on July 12, 1871 and it was called Camp Ground. The first sawmill was built here in 1880 and the first church was established in 1884. At that time, a local merchant petitioned the U.S. Post Office Department to open a new post office in his store and he requested that it be named after the Postmaster General: Walter Quentin Gresham, a former Colonel in the Union Army. His request was granted and the new post office opened on May 15, 1884. The Camp Ground post office subsequently closed on June 9, 1884. Officials in Portland saw a need for supplying fresh water to its residents. An elaborate water purification and delivery system was built through Gresham to transport water from the Bull Run Watershed to the residents of Portland and the surrounding areas in 1893. 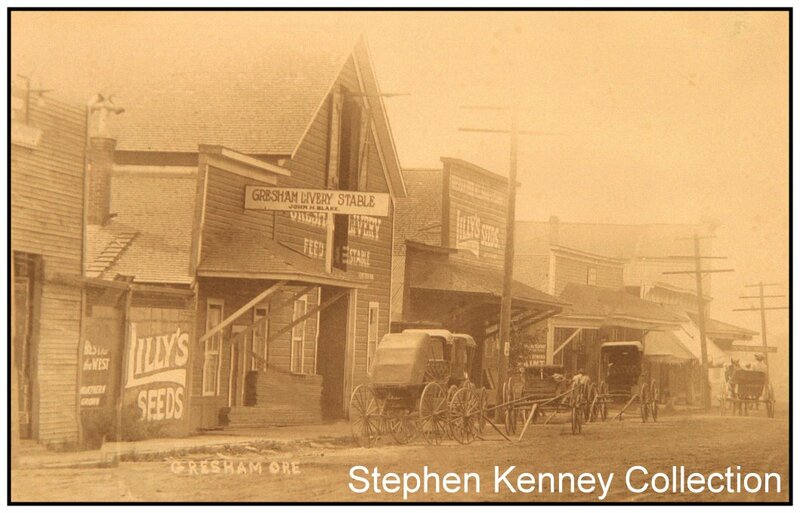 The first telephone line was installed in Gresham in 1894 and the first road to Gresham, Baseline Road, opened in 1895. 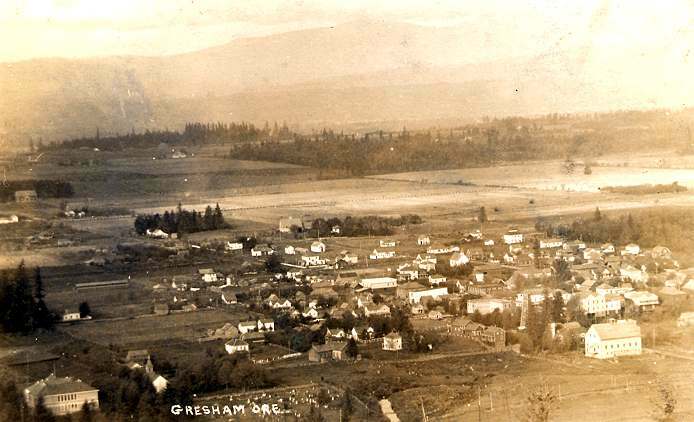 Birdseye view of Gresham, circa 1905. Portland-bound Cazadero Train at the Gresham Depot on the south end of town, circa 1904, near the current Main City Park. 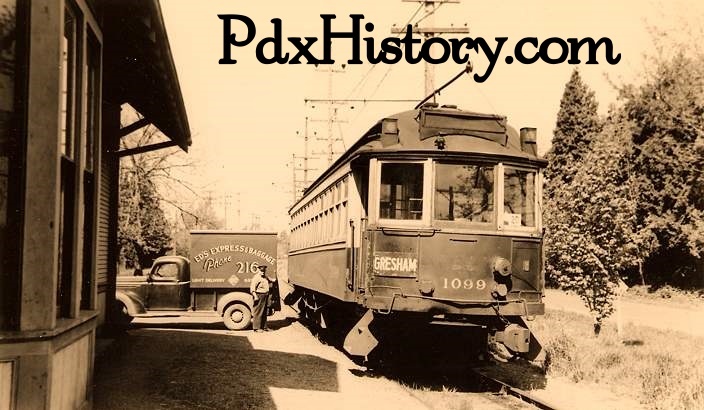 Interurban streetcar service from Portland to Gresham was inaugurated in late 1902. Service was extended to Boring, Estacada and Cazadero in 1903. Gresham elected its first mayor, Louis Shattuck, in 1904 and the city of Gresham was incorporated in 1905. A band greeted visitors on a Cazadero-bound interurban streetcar at the Gresham Depot, circa 1909. Gresham began to grow and prosper after the streetcar came to town. 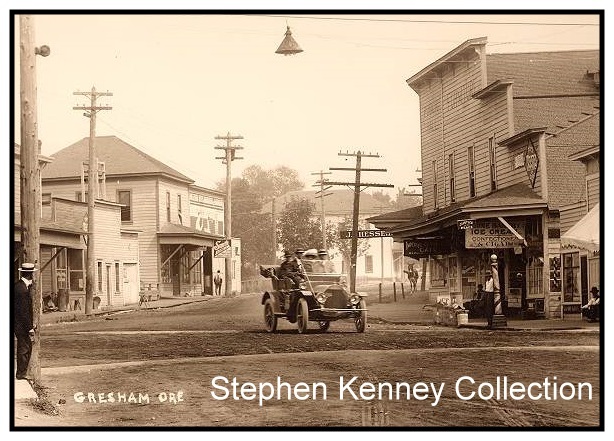 Powell Street in Gresham looking west, circa 1906. 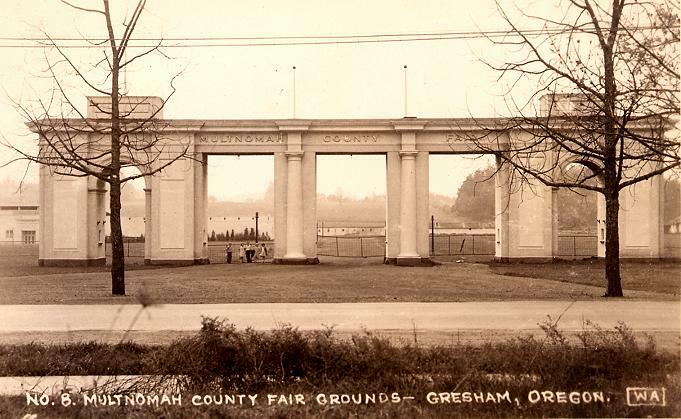 The grand Entrance to the Multnomah County Fairgrounds in Gresham with ticket booths. In 1907, the Gresham Grange established the first Multnomah County Fair and opened the Fairgrounds to draw people from all around the area. 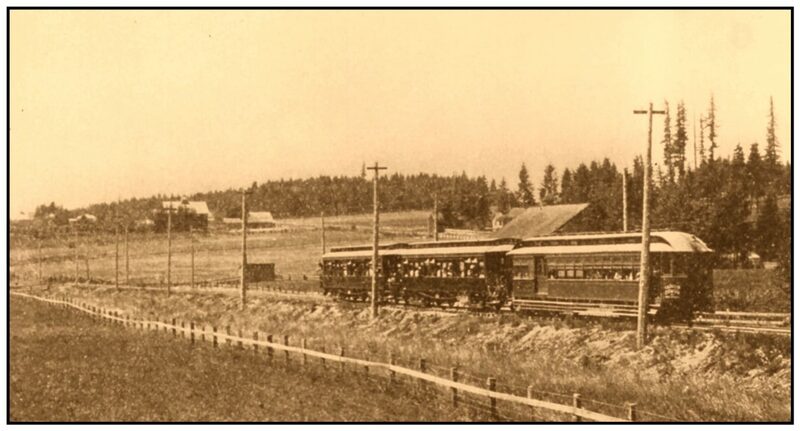 Car 1958 from Troutdale on the left at Linneman Station in Gresham with Cazadero-bound car 1050 on the right, circa 1907. 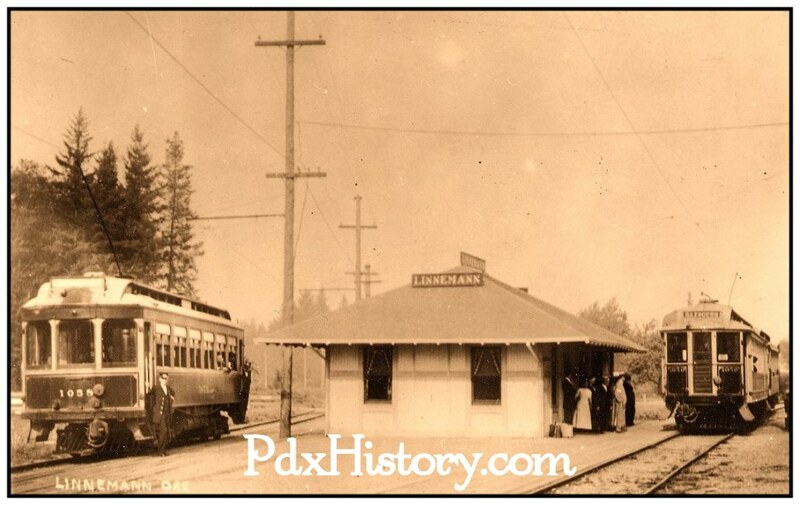 Portland Railway Light and Power Company (PRL&P) opened a new line from Linneman Station north through Ruby Junction and out to Fairview and Troutdale in 1907. The need for lights and electricity in Portland led to the building of the Bull Run dam and powerhouse. City officials in Portland needed a way to get supplies and building materials to Bull Run, so another rail line was built. The Mt. Hood Railway and Power Company was formed and they opened a 22-mile steam rail line from Montavilla at 90th and Glisan to Bull Run in 1911 with 30 stations. The line went through Gresham where another depot was built on the north end of town. Financial troubles forced the sale of the Mt. 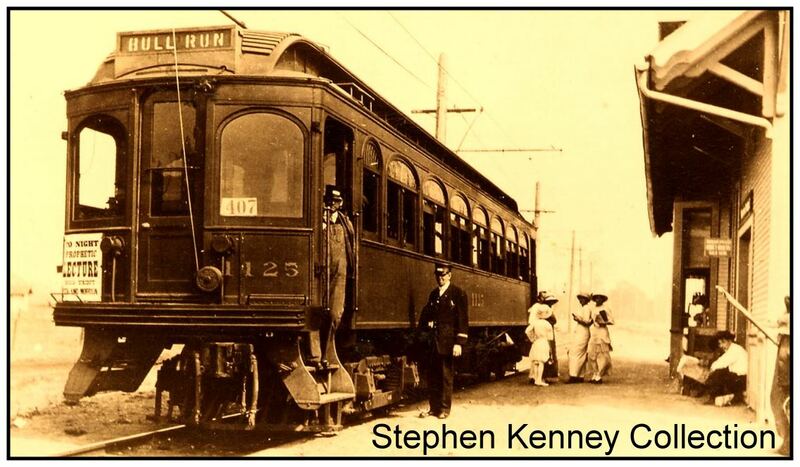 Hood line to PRL&P in 1912 and they added overhead electric wires above the rails in 1913. Portland-bound Car 1125 at the Mt. Hood Depot in Gresham, circa 1914. 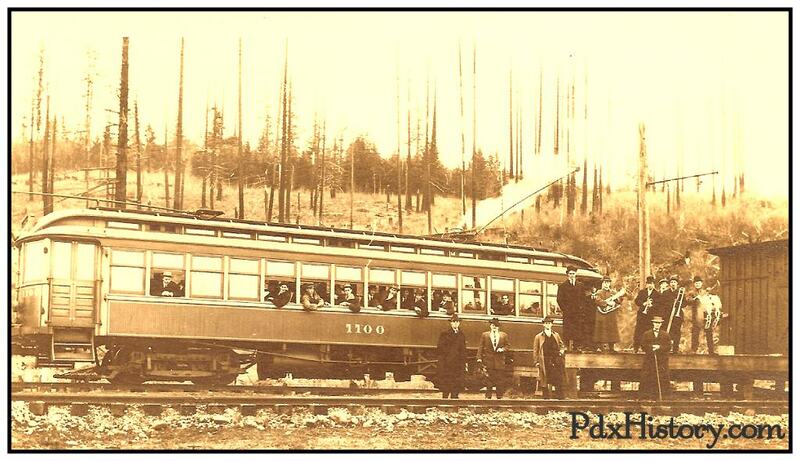 PRL&P began operating electric streetcars and express cars to Gresham and Bull Run on the Mt. Hood Division. The earlier line to Cazadero on the south end of Gresham became known as the Springwater Division. The popularity of the automobile led to the end of passenger traffic in 1930 and the express cars operated for two more years to Bull Run. Passenger service to Boring on the Springwater line continued into the 1950s. After that, diesel trains continued to handle freight service to the lumber mills in Boring until the late 1980s. Portland Traction Car 1099 on the Springwater Line at the South Gresham Depot in the 1940s. The city of Gresham decided to stop using wells for water and tapped in to the Bull Run watershed in 1910. The Chamber of Commerce was established in 1911. The Carnegie Library was built in 1913 and Beaver brand wooden automobiles were produced here in 1914. 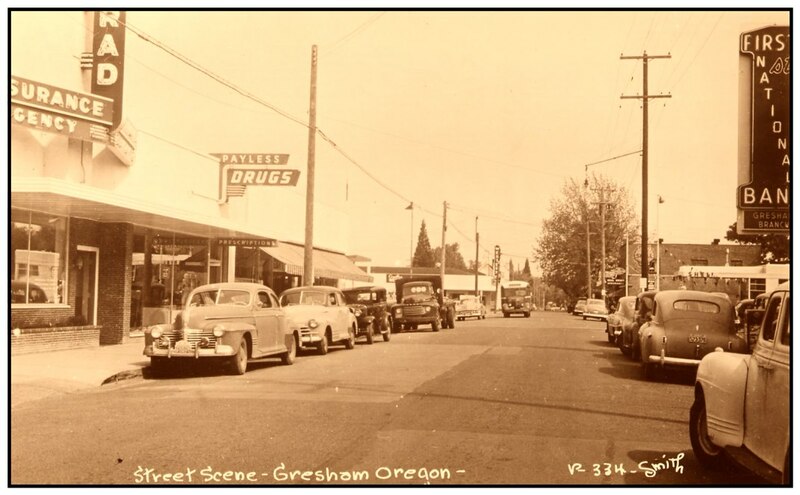 Gresham as it looked in 1950. 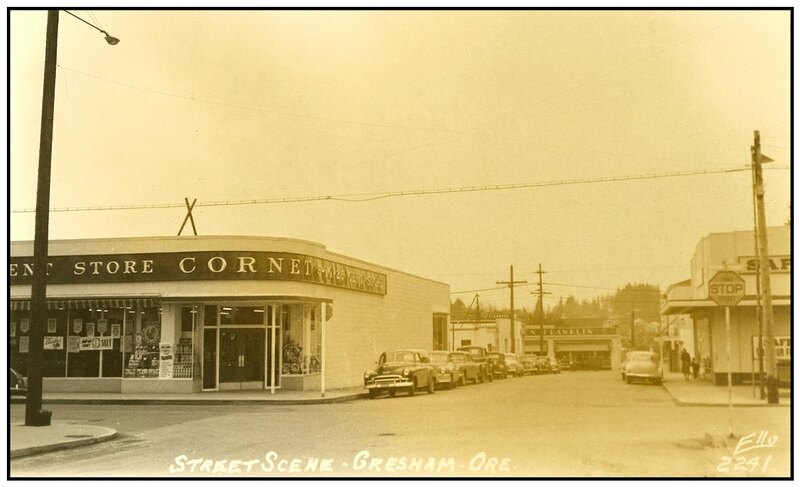 Roberts Street in Gresham as it looked in the 1950s. Gresham has continued to mature and grow and it is now Oregon’s fourth largest city.